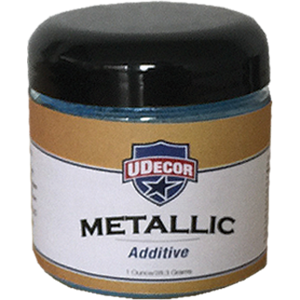 Our UDecor Metallic Additive will add a completely different dimension to any area looking for a unique finish. 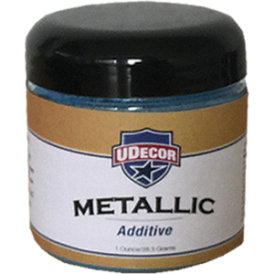 Our metallic additives are available in 4oz and 8oz units and can be mixed in to UGlaze-SB, UGloss and UClad Clear to provide a range of varying depths. More than one color can also be combined to create a more unique look. 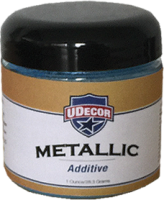 Given that there are a few different ways to apply a metallic floor you will want to contact one of our coating specialists to ensure that you achieve the look you desire.